In a previous post I explained how to help your kids to make sentences more longer and more interesting. You can check that out here. This time, you can guide your child to make more conceptually sound and opinionated sentences. Using words to contrast or compare can make for great opening sentences for paragraphs. They can also make ideas more clearer. They can be used for effectiveness in creative writing exercises. The basic concept is that it binds together two phrases in a way that either compares or contrasts. 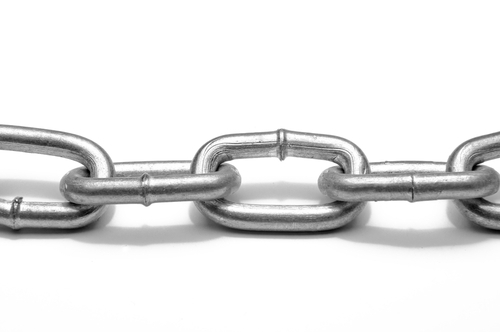 Connectives are also commonly know and conjunctions. So what are these words and how can your kids make proper use out of them? Read on. This entry was posted in English and tagged acivities, comprehension, concept building, conjunctions, connectives, education, English, grammar, sentences on June 4, 2015 by rahimajabeen. 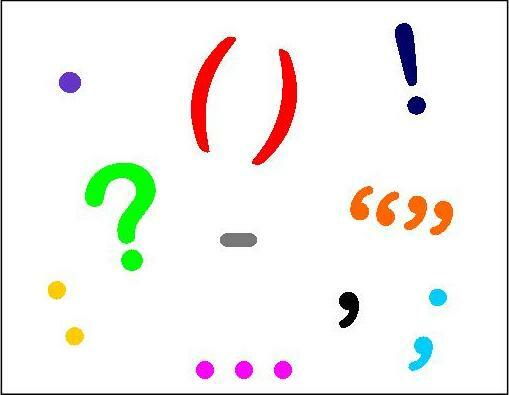 The proper use of punctuation is not heeded enough in our children’s writing these days, at least that is what I have observed. What’s more, grown ups don’t even realize the need to remedy the situation. Not only does it leave a bad impression, but it also prevents the child from improving upon a very important skill that will one day be very valuable in their day to day lives. I’ve seen my own kids writing away sentences, but failing to put in the full stop. Each time I have to remind them, but kids will be kids and they do repeat the issue. The good news is that if you are resilient and take a few moments out to point out where the full stop or comma has been left out, it will become a habit not to engage in these mistakes as they reach higher middle school grades, much sooner if you are lucky. Like most things, practice makes perfect, so when guiding your child during homework, just ensure the use of proper punctuation. Your input and encouragement will make a ton of difference by the time they’ll need to write essays for college applications. 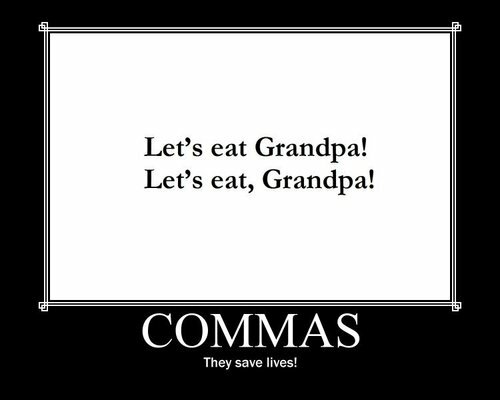 Punctuation matters! Consider that even when reading the Noble Quran, there are rules when to stop. Some places require a complete stop. This is something you can also incorporate when stressing importance of punctuation. This entry was posted in English and tagged children, education, English, grammar, punctuation on January 25, 2015 by rahimajabeen. Children are learning about nouns right from the time when they begin to talk. In fact, initially when a child is developing talking skills, his single words will almost all be nouns. When this concept is introduced in school, most children grasp it without any trouble at all. Worksheets given incorporate pictures and you can find dozens on apps and games for further practice. But hands on parenting techniques, one of which includes reinforcing concepts at home through play and fun, can go a long way in not only securing the topic but also bonding. As most children young KG going kids will point out the noun quite easily, you could go a step ahead with categorization. Cut up strips of chart paper and write the theme on the top; you could do rooms, appliances, professions etc. Then go on a ‘noun hunt’ and ask kids to point out relevant objects. Rooms are easier to do. So start with any room, let’s say the kitchen and ask the child to write down (he may need help with spellings) any 5 or 6 objects he sees there. 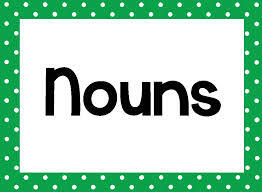 Explain that nouns are objects, they can be touched and felt. Talk about each object briefly. You can then cut out the strips and ask you child to draw and color the object at the back and voila: instant child made flash cards. 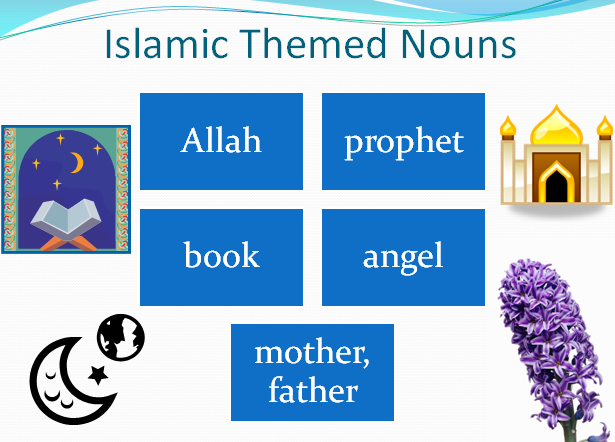 Another nice activity is to bring up words that strongly pertain to Islam like the following image. Discuss the bounties of Allah and the significance of other words. Make more flash cards. The kids will love it. This entry was posted in English and tagged children, English, grammar on December 14, 2014 by rahimajabeen.